DID WE PLAY YOUR MUSIC? 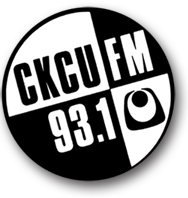 Search CKCU-FM's playlists to find out! If we featured your musical work your single, EP, or LP may have charted.! CLICK HERE TO CHECK. 1. As a radio show we exist to share good music with our listeners to brighten their day & to support artists with real talent, promise and chops. But no one is owed airplay. We know you worked hard on your music. But that doesn't necessarily mean it's ready for airplay. Please send only your very best and no more than 3. Mailbombing us will not improve your chances. it will only overload us an piss us off. You are not the only ones hoping for airplay and sadly there are only so many hours in a day. & we don't get paid to do this.! That said we really do look forward to great songs being submitted by passionate and professional acts. 2. e.v. 's Underground plays mainly metal, goth & hard rock as well as some powerpop, folk, electropop and psychedelia. Please don't send us HIP-HOP! respect for your hustle but it is NOT what turns our cranks. We don't play every genre out there,. True - sometimes someone's art is so fabulous we have been known to go out on a mainstream limb in hours 3, 4, % 5 for the sake of someone who is unknown but which our radio ears tell us should be big in mainstream, they just aren't there yet. That said, if your song isn't in one of the genres we play regularly, please don't waste your time or ours.. I can think of 4 artists in 5 years that stood out from the rank and file of country, pop and dance that were good enough to play for the listeners. However do not despair - there are lots of other shows out there. Do some research and press on regardless. If you have a burning urge to make music and all else pales in comparison ad you'd spend anything past food and rent on music, well you probably are destined to be a musician. But if it's just a fun thing, as opposed to bone-deep, please do not send us your tracks. They probably are not good enough for our listeners m no matter how hot you think you sound. ego is not music. Sorry - do not give up your day job.! This may piss some of you off but it is the truth. : Even though today everyone thinks they can everything including start a great band no one is good at everything.! Ergo, if you have little to no musical talent and no burning urge within you to write or to play music, go find your bliss. somewhere other than music performance and recording.. There is no shame in being good at something else. Work your talents, people! You will feel better. 2. Still with us? Cool. CLICK BELOW AND submit your best tracks - probably the ones with the most listens on soundcloud/reverb etc.